OBJECTIVE: To report the feasibility, safety, and 1-month results of performing stent placement for vertebral origin stenosis with the use of a distal protection device. 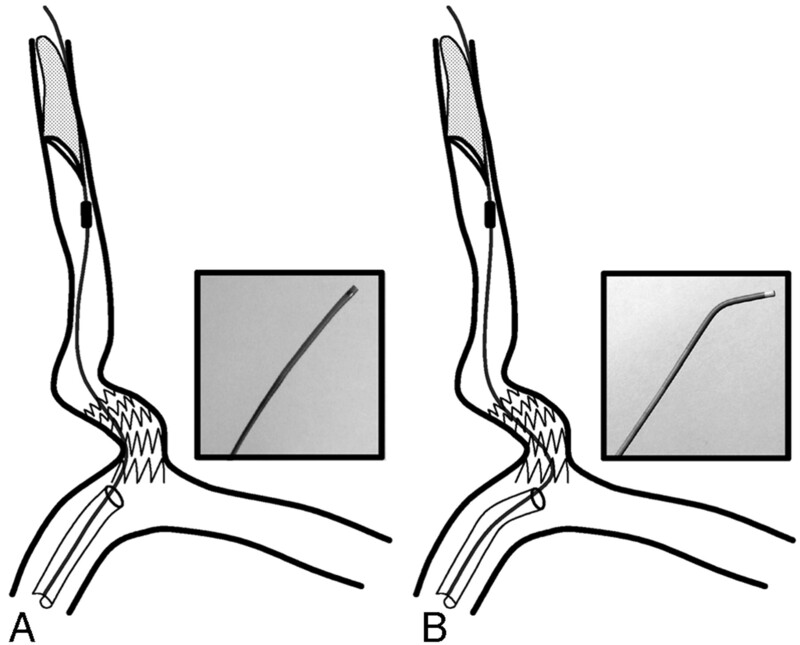 Distal protection devices have been shown to reduce the number of cerebral emboli and subsequent ischemic events when used as adjuncts to percutaneous carotid intervention; however, one case of the use of a distal protection device for vertebral artery has been reported in the literature. METHODS: We retrospectively determined rates of technical success and 1-month stroke or death associated with stent placement by using distal protection (Filter EX; Boston Scientific, Natick, Mass) in patients with symptomatic vertebral artery origin stenosis. Technical success was defined as successful deployment of distal protection device and stent at target lesion followed by successful retrieval of the device and a final residual stenosis of less than 30%. Other outcomes ascertained included any stroke, death, and semiquantitative assessment of particulate material retained by the filter device. RESULTS: The mean age of the 12 treated patients was 68 years (range, 52–88 years) and the group included 9 men and 3 women. The mean percentage of vertebral artery origin stenosis was 71 ± 6%. Femoral and radial approaches were used in 9 and 3 cases, respectively. Technical success was achieved in 11 of the 12 patients in whom distal protection device placement was attempted. Postprocedure residual stenosis was 5 ± 4%. 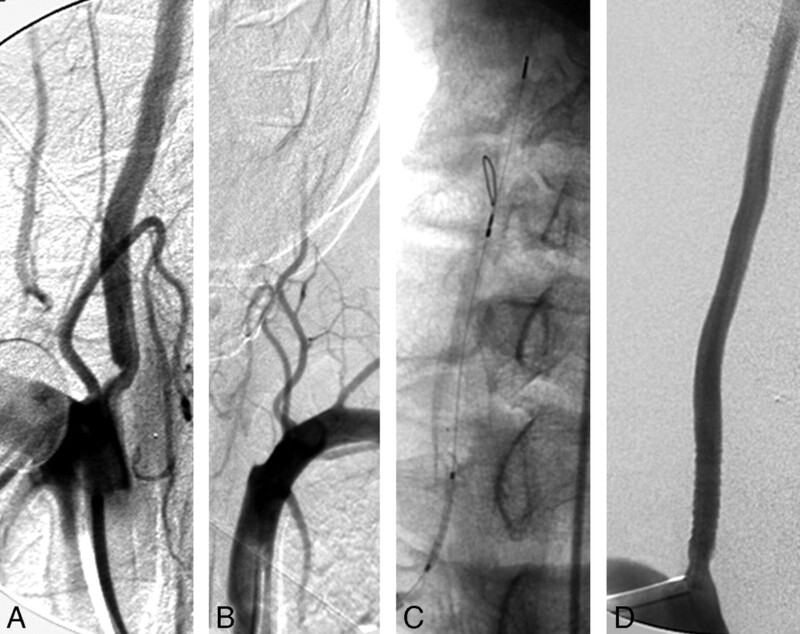 Eight devices held macroscopically visible embolic debris (large and small amounts in 3 and 5 devices, respectively). No stroke or death was observed in the 1-month follow-up. CONCLUSION: The present study demonstrates the feasibility of performing stent placement for vertebral artery origin stenosis by using a distal protection device. Further studies are required to determine the effectiveness of this approach for vertebral artery origin atherosclerosis. Atherosclerotic disease of vertebral artery origin is a common cause of ischemic events in the posterior circulation.1 Percutaneous transluminal angioplasty with stent placement has recently been recommended as a treatment technique for selected patients with vertebral artery origin stenosis.1 However, distal embolism may cause ischemic complications in the perioperative period. In one study, 12 consecutive patients undergoing percutaneous transluminal angioplasty for subclavian and vertebral artery stenosis of atherosclerotic origin were studied by using transcranial Doppler sonography (TCD) monitoring before, during, and after angioplasty for 30 minutes at a time.2 No embolic signals were detected in any patient before angioplasty. During angioplasty, one embolic signal intensity was detected immediately after balloon deflation in one of 12 patients. Several embolic signals were detected immediately after the procedure in 6 of 12 patients. These signals were detected despite the routine administration of antiplatelets and heparin. The potential for a greater benefit by mechanical interruption of emboli in patients undergoing vertebral artery origin angioplasty and stent placement prompted the use of a distal protection device. We report the results of our initial experience by using a distal protection device as an adjunct to vertebral origin stent placement with emphasis on the feasibility and preliminary clinical results of the procedure. Consecutive patients who underwent elective, urgent, or emergent vertebral artery origin intervention with angioplasty balloons or stent devices were identified by using a procedure log for endovascular procedures and a data base for all admissions maintained by the cerebrovascular program. Only patients who had ischemic events, transient ischemic attack, or ischemic stroke referable to the distribution of the affected vertebral artery were treated. The severity of stenosis was 50% or greater limited to the first centimeter of the cervical vertebral artery after its origin from the subclavian artery. Patients who suffered ischemic symptoms despite use of antiplatelet or anticoagulants or those with involvement of the dominant vertebral artery and hypoplastic contralateral vertebral artery were considered. Patients with any of the following characteristics or conditions were not treated: (1) history of bleeding diathesis, including disorders treated with warfarin therapy (however, patients who had been administered warfarin but had stopped taking the medication 3 days before the procedure and had an international normalized ratio of less than 1.2 were eligible for treatment); (2) major surgery within the previous 6 weeks; (3) previous hemorrhagic stroke; (4) pregnancy or lactation; or (5) gastrointestinal or genitourinary bleeding within the previous 30 days. Patients were administered aspirin (325 mg daily) and clopidogrel (75 mg daily) orally starting 3 days before the procedure. If clopidogrel could not be initiated 3 days before the procedure, a loading dose of 300 mg was administered. If dysphagia was present, antiplatelet medications were administered by using a nasogastric or pre-existing percutaneous gastrostomy feeding tube. Patients underwent laboratory testing for platelet, hematocrit, and electrolyte levels, and a coagulation profile was performed before the procedure. Administration of warfarin was discontinued 3 days before the procedure in patients who were taking that medication on a long-term basis, and a repeat coagulation profile was performed for these patients on the morning of the procedure. A complete neurologic examination was documented before the procedure. Patients’ neurologic status were assessed according to the National Institutes of Health Stroke Scale (NIHSS).3 Previous neurologic deficits were classified as major if the NIHSS score was 4 points or greater. After arterial access through the femoral or radial artery4 was established, a 70 U/kg bolus of heparin5 was administered intravenously to achieve an activated coagulation time above 300 seconds. A 6F guide catheter (Envoy; Cordis/Johnson & Johnson, Miami Lakes, Fla) was placed in the ipsilateral subclavian artery. If necessary, the guide catheter was stabilized by coaxial placement of an 0.018-inch microwire (V-18 control wire; Boston Scientific, Natick, Mass) into the distal subclavian artery. The distal protection device (FilterWire EX; Boston Scientific) was introduced through the lesion and deployed into the distal cervical segment of the vertebral artery. Bare metal stents (balloon-expandable) were initially used for treatment of stenosis. After drug-eluting stents were commercially available, either CYPHER Sirolimus-eluting coronary stent (Cordis Corporation), or TAXUS Express2 paclitaxel-eluting coronary stent (Boston Scientific) were used. Angioplasty before or after stent was performed in selected situations to provide the most optimal results. After treatment of the stenosis, the distal protection device was retrieved by using a 4F angiographic catheter (length, 125 cm; inner diameter, 0.038 inch; MPA1-Tempo 4; Cordis Corporation) in a contained format. This strategy was adopted after initial failure when using the retriever catheter provided by the manufacturers. No further heparin was infused after the procedure. The primary technical end point for the study was the ability to traverse, deploy, and retrieve the distal protection device and deployment of the stent with a residual stenosis of less than 30%. The primary clinical end point was the 1-month composite occurrence of death, cerebral infarction, and unplanned or urgent endovascular or surgical revascularization. The aforementioned 1-month follow-up evaluation was performed as routine practice and to ascertain the occurrence of end point events. Baseline demographic and clinical information was collected for each patient. Other data collected included the types of balloons and stents used and the medications administered. A detailed record of neurologic deficits and hemodynamic or bleeding complications was maintained. Digital subtraction angiographic images of the affected arteries were obtained from the digital tape storage system of our angiography unit (Advantx LCN; General Electric, Milwaukee, Wis). After adjustments were made for magnification, the diameters of the stenosis and the distal reference vessel were measured. The vertebral artery distal to the stenosis after poststenotic dilation was used as measure of the reference diameter. The percentage of stenosis was calculated by using the following formula: [1 − (diameter of stenosis/distal vessel diameter)] × 100. The length of the lesion was measured, and each lesion was classified morphologically as smooth or irregular. The severity of stenosis was measured after the procedure by using similar criteria. An independent investigator (A.E.) made all measurements. All the distal protection devices were reviewed macroscopically after retrieval. The amount of embolic material was categorized as either large (if particulate matter could be seen occupying between 10% and 20% of the basket), small (if particulate matter could be visualized but occupied less than 10% of the basket), or none. Between September 2003 and December 2004 (16 months), 16 patients were treated with stent placement in the vertebral artery origin. In 4 patients, distal protection device placement was not attempted. One patient experienced spontaneous dissection of the vertebral artery, and another patient had a vertebral artery that was considered too small for placement of a distal protection device. The third patient underwent angioplasty of the vertebral artery to facilitate guide catheter placement for subsequent basilar artery stent placement. A stent was placed in the vertebral artery after removal of guide catheter. The fourth patient underwent simultaneous vertebral artery and cervical internal carotid artery stent placement and distal protection was not attempted to reduce procedure time. Twelve patients were treated with vertebral artery stent placement with distal protection. The mean age of these patients was 68 ± 10 (range, 52–88) years, and 9 were men. The clinical characteristics of these patients are presented in Table 1. All patients had suffered an ischemic stroke in the distribution of the vertebrobasilar arteries. Major and minor ischemic stroke were observed at baseline in 8 and 4 patients, respectively. The mean percentage of vertebral artery origin stenosis was 71 ± 6% (range, 63%–82%). The lesion morphology and length data are presented in Table 1. Procedural information and clinical outcomes of the study patients are presented in the table. The procedure was performed through radial access in 3 patients and through femoral access in the other 9 patients. In 1 patient (patient 3), the distal protection device could not be introduced through the lesion because of the tortuosity of the origin. In one of the remaining 11 patients (patient 8), coaxial placement of a microwire (V-18 control wire; Boston Scientific) through the lesion was required to navigate the distal protection device through the lesion. Stents were placed across the lesion in all 12 patients and included 13 stents (10 were drug-eluting) marketed under the names Bx VELOCITY-Rx with Hepacoat (Cordis Corporation) (n = 1), Multi-Link Zeta (Guidant, Santa Clara, Calif) (n = 1), CYPHER (Cordis Corporation) (n = 4), and TAXUS Express2 (Boston Scientific) (n = 6). Patient 7 required a second stent (Multi-Link Zeta; Guidant) to adequately cover the lesion. Angioplasty before and after stenting was performed in one patient (patient 11) with the use of Maverick balloon dilation catheters (Boston Scientific Scimed, Maple Grove, Minn) after placement of the distal protection device. Patient 3 required poststent angioplasty with the CROSSSAIL coronary dilation catheter (Guidant). Representative images of the procedure are provided as in Fig 1. The device was successfully retrieved by using a 4F angiographic catheter as mentioned in the previous section. Fig 2 provides a schematic representation of the advantage of using this approach over standard retrieval method. Subsequently, the device was retrieved routinely by using the 4F angiographic catheter. Postprocedure residual stenosis was 5 ± 4% (range, 0%–12%). The femoral access site was secured after sheath removal with the use of a percutaneous closure system (Perclose, Menlo Park, Calif) in 4 patients. The primary technical end point of the procedure was achieved in 11 of the 12 patients. The primary clinical end point was successfully achieved in all 12 patients. Representative images from patient 2. A, Stenosis of the right vertebral artery origin visualized in anteroposterior projection with subclavian artery injection. B, Occlusion of the left vertebral artery origin visualized in anteroposterior projection with subclavian artery injection. C, Distal protection device deployed in the distal cervical right vertebral artery through the radial access and balloon-expandable stent traversing the lesion over the 0.014-inch microwire of the device. D, Complete resolution of the right vertebral origin lesion after stent deployment. A schematic representation of the retrieval process. Insets contain photographs of the distal portions of the 2 retrieval catheters. A, Standard retrieval catheter is limited by sharp angulation and protruding struts of stent in the subclavian artery. B, Angulated 4F angiographic catheter provides the advantage of navigating through the sharp angulation and protruding struts of stent. The evaluation of the distal protection device after retrieval revealed large amounts of embolic fragments in 3 embolic protection devices, a small amount in 5, and none in 3 devices (Fig 3). We observed no stroke or death in the 1-month follow-up period. No patient required more than 1 day of intensive care unit monitoring as part of the postoperative care. Hospital stays were prolonged in 4 patients because of social issues pertaining to discharge. Modified Rankin scale at 1 month was categorized as 4 in 3 patients and 3 in 3 patients because of the initial stroke. Image of the distal protection device after retrieval demonstrating the particulate material captured during the procedure. The present series describes the initial experience with using distal protection as adjunct to stent placement for atherosclerotic disease of the vertebral artery origin. The present study supports the feasibility of the approach. This report highlights some of the unique technical aspects of the procedure particularly the retrieval process for the distal protection device. We did not observe any stroke or death within the one-month follow-up period in any of the 12 patients who were treated by using this approach. We did observe prominent embolic debris in 3 of the devices and some debris in 5 filter devices. However, the design of this review protocol does not provide any definite conclusions regarding efficacy of the approach. Among the 407 New England Medical Center Posterior Circulation ischemic event registry patients, the most common site for symptomatic lesion was extracranial vertebral artery (52 patients, 15 bilateral).7 Intraarterial embolism is the most frequent mechanism of brain infarction in patients with vertebral artery occlusive disease.7–9 In another study, 96 patients with ≥50% unilateral vertebral artery stenosis were followed up for an average of 4.6 years.10 Vertebral artery stenosis was most frequently located at the origin (93%). The observed 5-year survival rate was 60% compared with 87% in a matched asymptomatic population. Eight deaths (20% of all deaths) were caused by stroke and 21 deaths (52.5% of all deaths) were cardiac-related. Does disease in the vertebral origin have the potential for embolization, particularly during endovascular treatment, to justify the use of a distal protection device? In a pathologic study of 38 patients with cerebellar infarction and arterial occlusion, prominent atherosclerotic lesions in the vertebral or basilar artery were identified in 28 patients, resulting in thrombosis superimposed upon plaque or embolism.11 A subsequent surgical series of 27 patients who underwent surgical exploration or endarterectomy found that lesions involving the vertebral artery origin were predominantly atherosclerotic with additional friable ulcers on the plaque surface observed in at least 3 patients.12 A prospective study detected asymptomatic emboli in 10 patients (19%) among 52 consecutive patients with acute or recent vertebrobasilar ischemia within 48 hours after admission9 by using TCD monitoring for 20 minutes on each posterior cerebral artery. 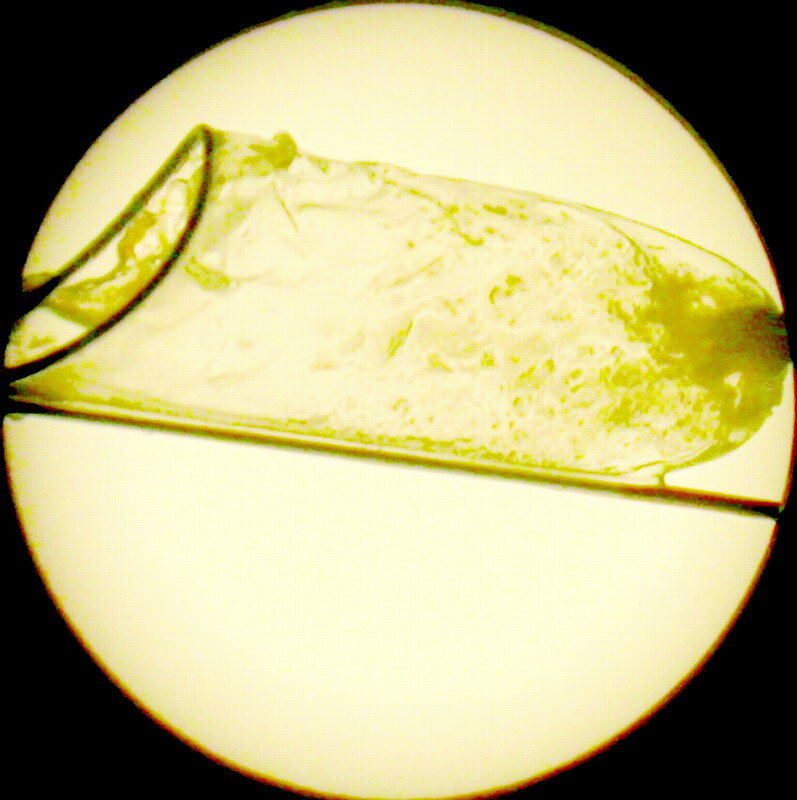 As previously mentioned, microemboli can be detected during the procedure after percutaneous transluminal angioplasty.2 We also observed macroscopically visible debris in the filter devices, further supporting the release of embolic material during percutaneous transluminal procedures. Previous case series have reported that stent placement is effective in restoring luminal diameter; perioperative stroke and death rate varies from none to 5%.14,16–22 Lin et al21 reported 58 symptomatic patients with 67 vertebral artery origin lesions who were treated with 67 balloon-expandable coronary stents. Periprocedural neurologic complications included 2 (3.4%) posterior and 1 (1.7%) anterior circulation strokes. Long-term follow-up studies have reported late strokes between none and 4%.16–23 The multicenter, nonrandomized, prospective feasibility SSYLVIA study evaluated the NEUROLINK System for treatment of vertebral or intracranial artery stenosis ≥50% stenosis.14 In 61 patients enrolled, 18 (29.5%) extracranial vertebral arteries (6 origins, 12 proximal to the posterior inferior cerebellar artery) were treated. Among the 6 patients treated for vertebral origin stenosis, 2 strokes occurred between 1 and 12 months. However, the number was too small to make any definitive conclusions. Evidence from randomized trials on its long-term efficacy versus medical therapy is not available. Our study provides the largest series pertaining to feasibility of vertebral artery stent placement with distal protection. Previous investigators have reported single patients with symptomatic vertebral artery stenosis who received stent placement with the use of either a distal protection device or flow reversal. Mintz et al24 described the successful treatment of a symptomatic patient with bilateral vertebrobasilar disease using a distal protection filter during stent placement with simultaneous use of TCD to measure microembolization and vertebral artery blood flow during the procedure. Pieniazek et al25 reported the use of the Parodi Anti-Emboli System (Parodi Antiembolization Catheter; ArteriA, San Francisco, Calif) for cerebral protection during emergent vertebral artery recanalization in a 56-year-old patient with total left vertebral artery occlusion. The device was used to elicit a temporary subclavian steal during percutaneous left vertebral artery recanalization. The left vertebral artery occlusion was successfully recanalized; stent placement resulted in resolution of ischemic symptoms. The other important issue is the strength of the evidence for efficacy of distal protection during percutaneous procedures. A randomized trial evaluated the efficacy of a distal embolic protection device during stent placement for saphenous vein aortocoronary bypass grafts.26 A total of 406 patients were randomly assigned to stent placement carried out by distal protection device, and 395 were assigned to stent placement without protection. The primary end points (a composite of death, myocardial infarction, emergency bypass, or target lesion revascularization by 30 days) were observed in 65 patients (16.5%) assigned to the control group and 39 patients (9.6%) assigned to the group with embolic protection devices (P = .004). The evidence is less rigorous in the neurovascular procedures. A systematic review of studies27 reported on the incidence of minor stroke, major stroke, or death within 30 days after carotid angioplasty and stent placement with (n = 896) or without distal protection (n = 2357). Despite similar demographic and clinical characteristics, the combined 30-day stroke and death rate in both symptomatic and asymptomatic patients was 2% in patients treated with distal protection devices compared with 6% in patients treated without distal protection devices (P < .001). This effect was due mainly to a decrease in the occurrence of minor strokes (3.7% without distal protection versus 0.5% with distal protection) and major strokes (1.1% without distal protection versus 0.3% with distal protection). Another report analyzed 80 patients randomized in the carotid artery stent placement arm of the Endarterectomy Versus Angioplasty trial.28 The trial is comparing carotid artery stent placement (with or without distal protection) with carotid surgery in patients with recently symptomatic, severe carotid stenosis. The Safety Committee recommended stopping carotid artery stent placement without protection, because the 30-day rate of stroke was 3.9 times higher than that of carotid artery stent placement with distal protection (4/15 versus 5/58). However, the evidence is not based on randomized studies and needs to be considered in this context. The present study reports upon the technical feasibility and preliminary clinical results of using distal protection devices in patients with symptomatic vertebral artery origin stenosis. This approach may be considered in future clinical trials that evaluate the efficacy of stent placement for symptomatic extracranial vertebral artery atherosclerosis. Vertebral Artery Stenting: Not Quite Ready for Prime Time!